The Free Syrian Army gave Assad security forces a four day ultimatum to stop attacking innocent protesters or they would be targeted. 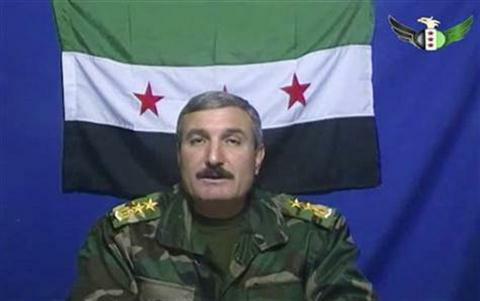 The unilaterally declared truce between the Free Syrian Army [FSA] and the Syrian regular army collapsed after the defectors attacked the regular army’s units in various parts of Syria the day before yesterday after accusing the regime “of not stopping the killings” which forced them to back down on “their conditional promise” to stop the attacks during the presence of the Arab observers. Paratrooper Captain Ammar al-Wawi, secretary of the FSA’s Military Council, asserted that the FSA “released 30 soldiers and four officers from the regular army who had surrendered to its elements in Jabal al-Zawiyah area the day before yesterday.” He told Asharq Al-Awsat that “Al-Zawiyah martyrs’ regiment” carried out an operation at 0500 hours the day before yesterday against a regular army unit which resulted in the surrender of 30 soldiers and four officers. He pointed out that they surrendered without any fight and handed over their weapons and that the investigations with them indicated there were instructions to kill the demonstrators and oppositionists in addition to targeting the Arab observers on their arrival in the area and to accuse “terrorist elements.” He pointed out that simultaneous attacks were carried out in the areas of Daraa, Damascus countryside, Jabal al-Zawiyah, and Dayr al-Zur which resulted in targeting and killing more than 40 soldiers and officers.